Zeljko Vujaskovic, MD, PhD, is a physician/scientist and professor who heads the Division of Translational Radiation Sciences in the Department of Radiation Oncology at the University of Maryland School of Medicine (UMSOM) in Baltimore. For more than 30 years, his career has been defined by transdisciplinary research that bridges the gap between basic science and clinical research to ultimately improve outcomes and long-term quality of life among cancer patients. From 1999 to 2012 Dr. Vujaskovic served as a clinical radiation oncologist and director of the Normal Tissue Injury Laboratory at Duke University, where he was an associate professor of Radiation Oncology, Pathology, and Medical Physics. At Duke he also directed the Clinical Hyperthermia Program and served as associate director of the General Clinical Research Center. His laboratory focused on elucidating mechanisms underlying radiation injury and radiation therapy-induced toxicities in normal tissue. With his laboratory members, he published a series of seminal articles on tissue hypoxia and radiation exposure. In 2012, Dr. Vujaskovic relocated his laboratory and clinical practice to the UMSOM to establish the new Division of Translational Radiation Sciences, with the mission to accelerate discovery and clinical implementation of new therapeutic strategies to improve tumor response in clinical radiotherapy, minimize postradiation therapy complications, and mitigate/treat the life-threatening health effects of a radioactive or nuclear agent. At Maryland, his lab has expanded to include more than 9,000 square feet of research space, with advanced instrumentation designed to rapidly move new therapeutic strategies along the continuum from development through approval to routine use. Research conducted in his laboratory has been funded by the National Institutes of Health, Department of Defense, Biomedical Advanced Research and Development Authority, private foundations, and industry, including Genzyme, MedImmune, Biogen, Amgen, Aeolus Pharmaceuticals, and others. The laboratory has earned an international reputation for excellence in developing and testing animal models of radiation injury and high-throughput assessment of compounds for potential radiomitigating properties. Dr. Vujaskovic has published more than 150 articles and book chapters on radiation therapy, radiation injury, and hyperthermia topics. He has directed national and international research collaborations and is an active participant in cooperative group trials. He maintains an active clinical practice, with a focus on advanced treatment approaches in prostate cancer. 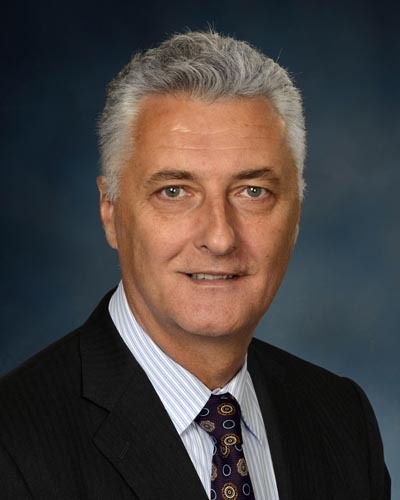 He has recently assumed leadership of the Maryland Proton Alliance, a joint effort between UMSOM and the newly opened Maryland Proton Treatment Center in Baltimore, where, among other research initiatives, he plans to explore synergies between proton beam therapy and hyperthermia. In 2016 he was honored with the Society for Thermal Medicine’s J. Eugene Robinson Award, given each year to an investigator who has made outstanding contributions to hyperthermic oncology.